Looking for that finishing touch for your decor that really packs a style punch? This hanging candle lantern is it! 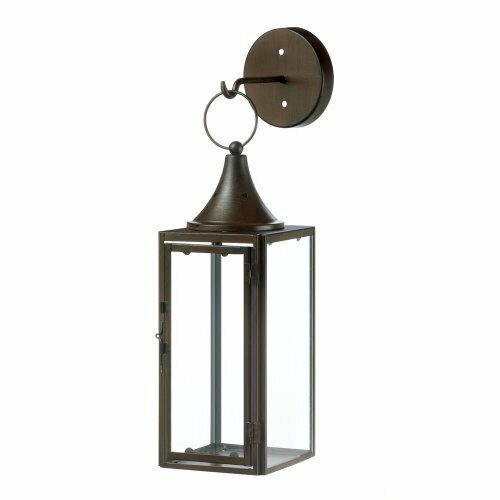 This hook and hanging candle lantern combo is fluent in the language of fantastic style. Its made from iron and glass and features a burnished finish along with classic geometric design. Candle not included. Lantern: 4 3/8" x 4 3/8" x 11 3/4" high; 14" high with loop at top; hook: 4 3/4" diameter x 4 3/8" high.